Owner-Operators in the modern trucking industry often find incredibly rewarding positions, but they may also be subject to some of the most difficult and painstaking tasks on the road. From finding loads to maintaining their own equipment to essentially acting as their own company representative in the field, owner-operators are some of the most hard working individuals behind the wheel. To this end, many owner-operators feel a great deal of pride as well as solidarity in their particular profession and often feel as though they must stick together in some respects in order to be consistently valuable and profitable as a professional driver. 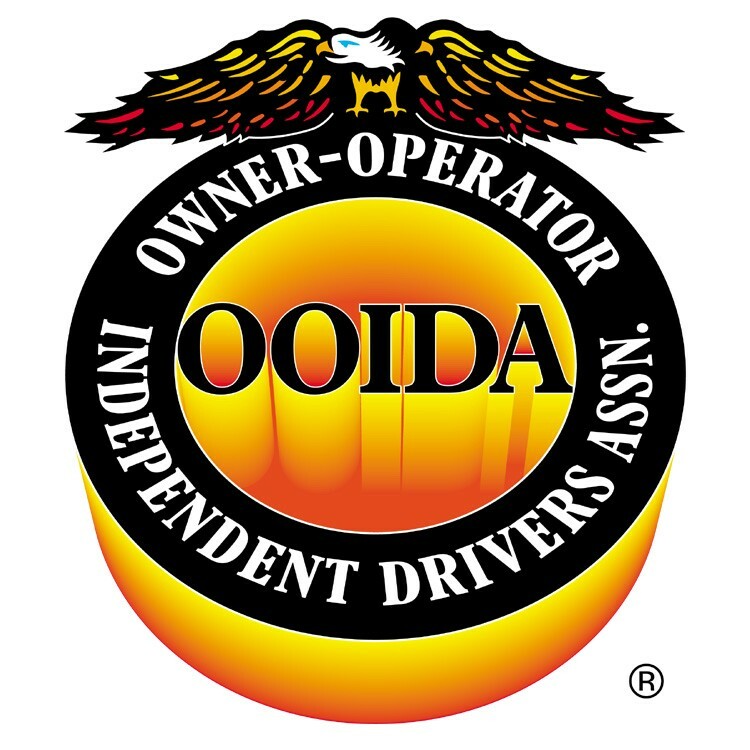 To this end, the Owner-Operator Independent Drivers Association (OOIDA) has been a resource for owner-operators in North America for over 40 years, fighting for the rights and well-being of drivers in the industry and working towards properly representing drivers in regards to legislation at the state and federal level. Many consider the 1970’s to be one of the most turbulent times for the trucking industry. As the “outlaw trucking” movement hit the industry, more drivers sought to claim autonomy within a truck driving job, eschewing the regulation imposed on highways in order to fulfill a more nomadic lifestyle and to get loads delivered in a more expedient and accurate fashion. The plot of Smokey and The Bandit may have rang true in some cases – some freewheeling Texas drivers were willing to bend the law in order to transport goods to other Southern states. Many of these drivers that considered themselves trucking outlaws were also owner-operators a class of truckers who felt an even greater calling to establish their own rules using their own trucks. Drivers from 40 years ago likely found it difficult to network with others who had the same ideals as them. Outside of meetups at truck stops or roadside diners, those who actively fought for their own rights had few resources. Thusly the OOIDA was born in 1973 in the state of Missouri. As a hub for many drivers working regional or over the road routes, the association sought to represent drivers from Canada and the United States. By 1976, the organization saw Pennsylvania Congressman Joe McDade speak on behalf of truckers to the U.S. House of Representatives, urging less restriction on the small-business side of driving in order to bolster personal prosperity. President Carter soon heard the decries of many drivers and Deregulated the industry in 1980, one of many victories that the OOIDA no doubt helped to establish. The road to trucker freedom and representation has not been an easy one, however – it has been filled with a myriad of roadblocks and groups that sometimes do not work in tandem with the interests of North American drivers. 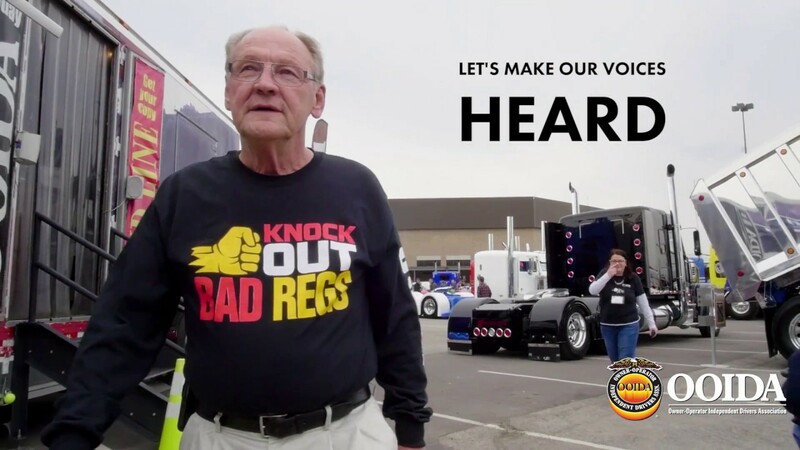 The OOIDA may be one of the first groups to tell one that simply because deregulation existed did not mean that the industry had resolved its problems entirely. To this end, the association had its first annual convention in 1982. The goals of the association are somewhat simply spelled out – create more ease for independent drivers to join the industry and rates ought to reflect the operating costs of owner-operators. 1988 was also a year of significance for drivers – with drug testing becoming standard for companies to hire drivers. While this likely sought to eliminate substance abuse problems in the industry, the Owner Operator Independent Drivers Association saw this as yet another roadblock for drivers. While the specifics of the period during deregulation in the 1980’s have become somewhat murky in which side is reporting upon them, the general feeling on both sides of the aisle was that deregulation did not necessary impact owner-operators in a manner that impacted them greatly enough to change their careers, and that the feeling of unresolved conflict between the OOIDA and other trucking associations was palpable. Though the industry had resolved to provide a better work environment for O/O's, many felt that it still had a long way to go. The last decade of the 1900’s and the beginning of the 20th century was anything but a simple time for the OOIDA. With the looming threat of gas prices fluctuating throughout the decade, many independent drivers had difficulty establishing a consistency in their operating costs or properly budgeting. This unpredictable nature of fuel was also wildly dependent on where one was purchasing at – Florida truckers may have been among the worst hit over the years. Compounding this struggle with fuel that drivers faced was the advent of driver-centric technology across many industries. While the OOIDA does not promote any sort of technophobia, or an overall resistance to technology, the implementation of technology shook up the world of commercial driving. In some respects, the use of technology seemed as though it would benefit the larger and medium-sized fleets, while posing several teething problems for small fleets as well as the individual driver. The state of federal deregulation nonetheless led to several state regulations in various arenas of trucking, with areas such as California maintaining a wide variety of regulations. Amidst these monumental shifts in the landscape of trucking, the OOIDA released its owner-operator Bill of Rights. Though an internal document perpetuated by the association, the Bill of Rights nonetheless spells out important and useful information that a driver should keep in mind when dealing with shippers, trucking companies, and other sources in the industry. With membership reaching a figure of over 70,000 in 2001, it is clear that the OOIDA has become more than simply an interest group – it is a full-fledged advocate for owner-operators in the country. As more battles over the legality of certain practices by issues ensured, the OOIDA found itself taking aim at certain high-profile entities in trucking. The association felt that some of the larger names in the business had been repeatedly displaying unethical and poor behavior towards independent drivers, and therefore some retribution ought to be established. At the same time, the OOIDA also realized that as important as it may be to protect the interests and livelihood of drivers across North America, it was also of equal importance to use their position of power to promote other interests on the road such as safety. Joining other like-minded advocacy groups, the association spends a great deal of time and resources in ensuring that the road is a place that is both fair as well as safe. 2008 saw the current figures of membership, providing evidence that the industry was experiencing growth and evidence that growth also meant a greater response for drivers and an individual’s trucking job. Trucking was no longer a niche industry or a small subset of culture for that matter – it had earned its place as perhaps the most important and vital link in the supply chain for the continent. Still, simply because numbers and representation were at an all-time high, the OOIDA still finds itself hard at work. The struggle related to Hours of Service and the individual autonomy of drivers does not end with a new decade, a new administration, or a new generation of drivers. As the industry expands, so does the responsibility of the OOIDA. Some drivers, independent operators or not, may shrug off an association like the OOIDA, claiming that it does not hold enough clout in the legal arenas of the industry. 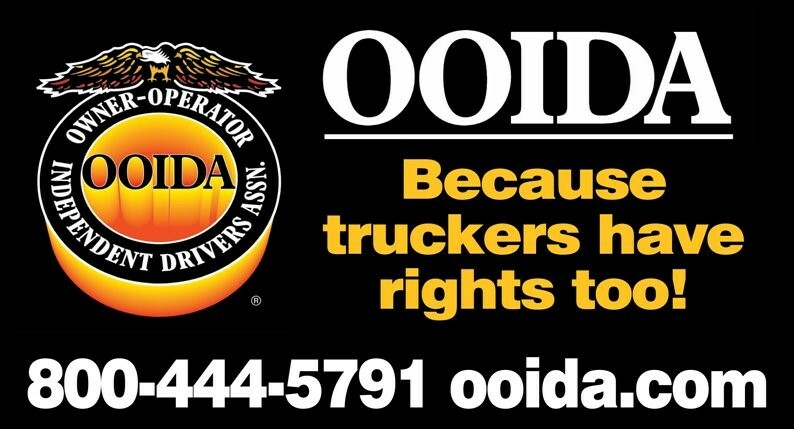 Many would find such a claim as patently untrue, but despite the power that the association may hold in the courts, the OOIDA is considered by many to be an indispensable interest group for a particular type of driver that often gets left out of the conversation of trucker rights. This association has faced the incredibly difficult trial of not only speaking up for drivers but seeking to change the landscape of trucking from the perspective of men and women that are profoundly impacted by new legislature and changes to existing legislature. Morever, the OOIDA is rooted in what many would call a humbled background. Though the OOIDA may have initially began dealing with “Outlaw” matters, the group has arguably never lost the spirit of promoting drivers as Kings and Queens of the road – an old school, albeit important outlook to many. One of the easiest ways in which to support the OOIDA is to pledge membership to the organization, offered on an annual basis. However, those who may not be able to contribute monetary funds can still show support for the association. By signing the company’s petitions (often named Calls To Action), passing the word on to other drivers and sharing materials on social media, the small acts derived from many can be just as effective as large gestures from a chosen few. To easiest way to show support for the OOIDA is to spread the word about them to others in the industry who may benefit from them. Going strong nearly 45 years later, the association has always depended on the presence of informed and proactive drivers who want to see a change.